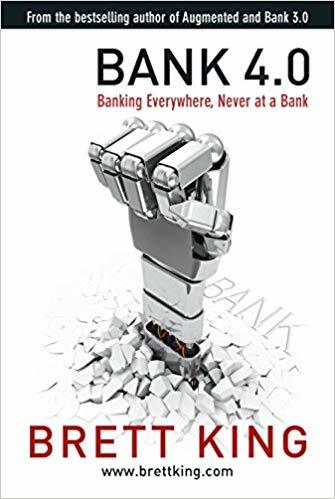 In the final book in the digital “BANK” series, Brett King tackles the topic of whether banks have a future at all in the emerging, technology embedded world of the 21st century. In 30-50 years when cash is gone, cards are gone and all vestiges of the traditional banking system have been re-engineered in real-time, what exactly will a bank look like? How will we reimagine a bank account, identity, value, assets, investments? Then stepping back from this vision of the future, King and his cadre of “disruptors” and fintech mafia chronicle the foundations of this new banking ecosystem today. From selfie-pay in China, blockchain in Africa, self-driving cars with their own bank accounts and augmented reality tech that informs the future design of banking systems, this proves once and for all that we’re not in Wall Street anymore Toto. Bank 4.0 is what banking will become.